3 Steps...30 Minutes...the best skin of your life! 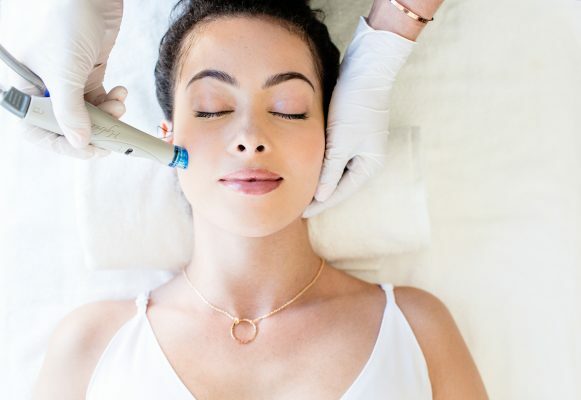 Hydrafacial addresses all skincare needs so it's perfect for everyone! Kick it up a notch with a Booster! Britenol™ - specifically formulated to target dark spots and sun damaged areas and is clinically proven to leave skin glowing with a more even complexion. Dermabuilder™ - a proprietary blend delivered to help effectively address fine lines, even skin tones and texture. Some call it the "mini-Botox". CTGF™ (Connective Tissue Growth Factor) - specifically designed to restore skin health, which helps diminish the appearance of fine lines and wrinkles.